Within one week, we’re celebrating Chinese New Year, Shrove Tuesday and Valentine’s Day! It’s foodie heaven! 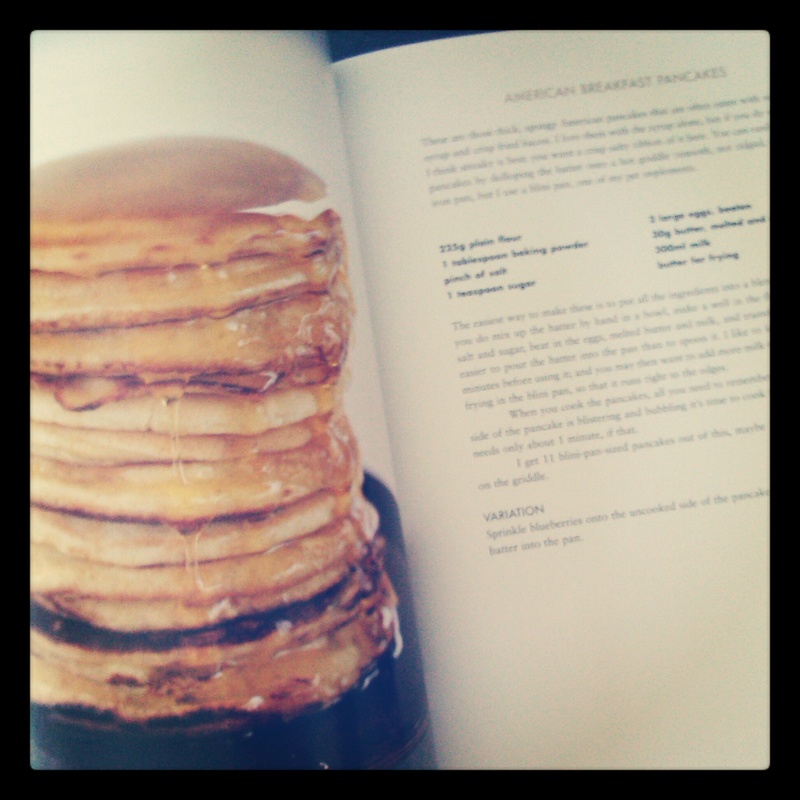 If you want a recipe for the best pancakes ever, then you’ve come to the right place! These are tried and tested and are just delicious! When it was New Year’s Day, we invited some friends around on the morning for a hot chocolate & pancake party. We only had a recipe for English style pancakes, but knew our friend could make delicious American-style pancakes, so he ended up being our pancake chef for that morning! The recipe was his grandmother’s, and we declared it the best pancake recipe ever! I asked for it, but discovered that it was almost identical to the recipe in Nigella Lawson’s cookbook ‘How to be a domestic goddess’. Sometimes, I’m uncertain whether to share recipes online because they do really belong to the cook and sometimes it feels a bit like plagarism. However, I searched online, and Nigella has kindly put this recipe on her blog, so I feel no harm in sharing! The easiest way to make these is to put all the ingredients into a blender and blitz. But if you do mix up the batter by hand in a bowl, make a well in the flour, baking powder, salt and sugar, beat in the eggs, melted butter and milk, and transfer to a jug: it’s much easier to pour the batter into the pan than to spoon it. Done! How simple is that? Now all you need to decide is what toppings to have on your pancake! I love sweet syrup or nutella, but MrJ loves bacon and maple syrup! If you wanted to prepare your pancake mix in advance, so that you have even less prep-time tomorrow, then Nigella has even thought of a recipe for that too! 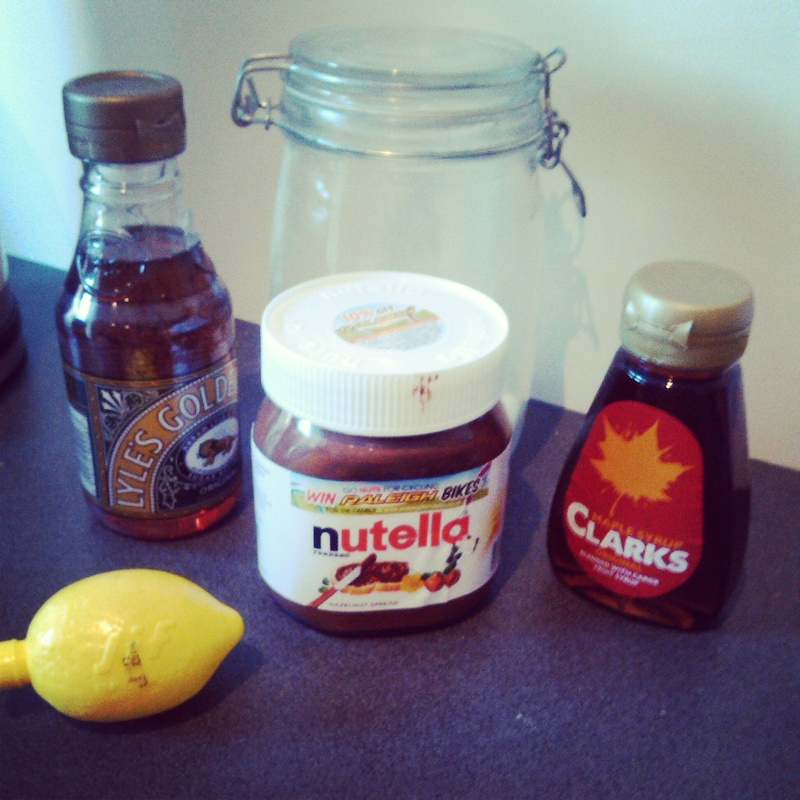 or the Pancake mix: Mix all the ingredients together and store in a jar. When ready to make the pancakes, proceed as follows: Heat a flat griddle or pan with no oil. We hope you have a lovely Pancake Day! Im so excited!!!! I’m a nutella girl I’m afraid! !